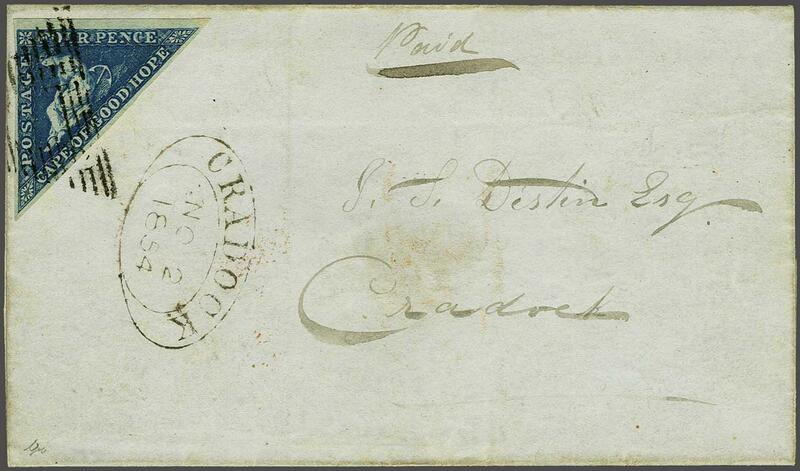 1853 (July): 4 d. blue on blued paper, a fine example with ample to large margins all round, used on 1854 cover to Cradock tied by CGH obliterator in black with CRADOCK oval datestamp on front (Nov 2) and oval GRAHAMSTOWN despatch in red on reverse (Oct 31). 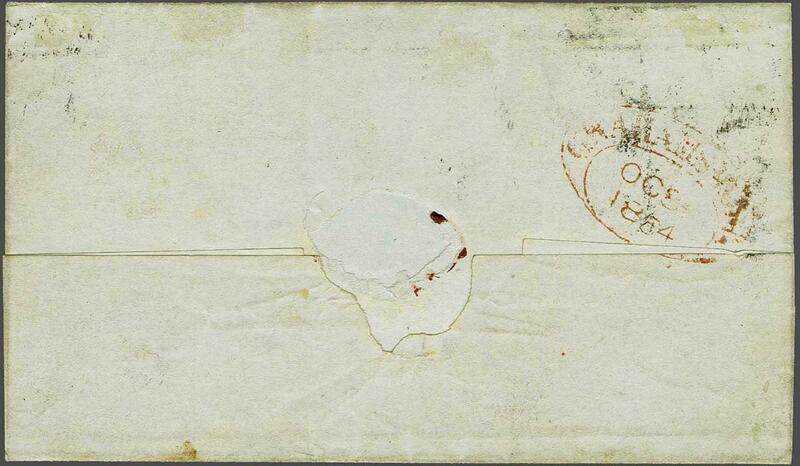 The stamp has been lifted for checking and hinged back in to place, and shows two re-entries (see Stevenson page 53) with extra line under APE of CAPE and retouched NC of PENCE. A fine and attractive cover.